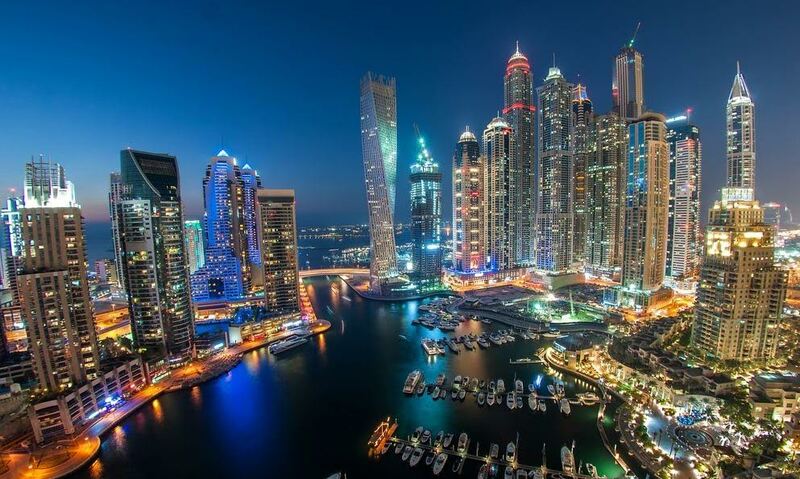 Rents in Dubai’s prime office locations are unchanged for a fifth quarter in a row, and averaging Dh178 a square foot. But within the city’s secondary commercial clusters the decline continues, by 4 per cent in the second quarter to an average of Dh107 a square foot. And more drops could be on the way, says a new update from CBRE. This will come about from the “additional supply expected to be completed in locations such as Business Bay, Dubai Silicon Oasis and JLT in the short to medium term,” the consultancy states. Therein lies a real risk for landlords, because the last thing they want in a soft economy is for their office premises to lie around vacant. Better to lock in a decent lease term now than be forced to cut it later. At the top end of the office realty spectrum, it is as if economic realities do not get to intrude. The majority of recently completed Grade A offices already had commitments for anywhere over 70 per cent of available space. Recently completed towers and mid-rise properties in the Tecom area and elsewhere attest to that. Existing tenants, however, are seeing little of the downward revision on home rents. At best, they have to make do with lease terms remaining unchanged. According to the CBRE report, “Future supply levels continue to grow at a rapid rate, which is a longer-term concern for the market, with a significant pipeline of new properties set to be completed in the build-up to 2020.” That would mean annual deliveries rising well above the five-year average. “The sales market has witnessed an improvement in transaction numbers, with off-plan remaining favourable among investors (and) underlining the speculative nature of the local market,” Green said. On top of indifferent demand, Dubai’s hotel sector is getting hit with rising supply, and which is leaving a dent on key numbers. The ADR (average daily rate) and RevPAR (revenue per available room) continue their decline, by 3.2 and 1.1 per cent in the year to May. “This resulted in an average ADR of Dh758 for an overnight stay versus D798 during the same period in 2016,” CBRE states. The only plus was that average occupancy levels improved slightly, to 83.8 per cent from 82.1 per cent in the first five months. “With developers pushing to complete hospitality projects in time for the Expo 2020 event, supply levels continue to expand rapidly, with over 35,000 new hotel keys and hotel apartments are still expected to be completed by the end of 2019,” the report adds.